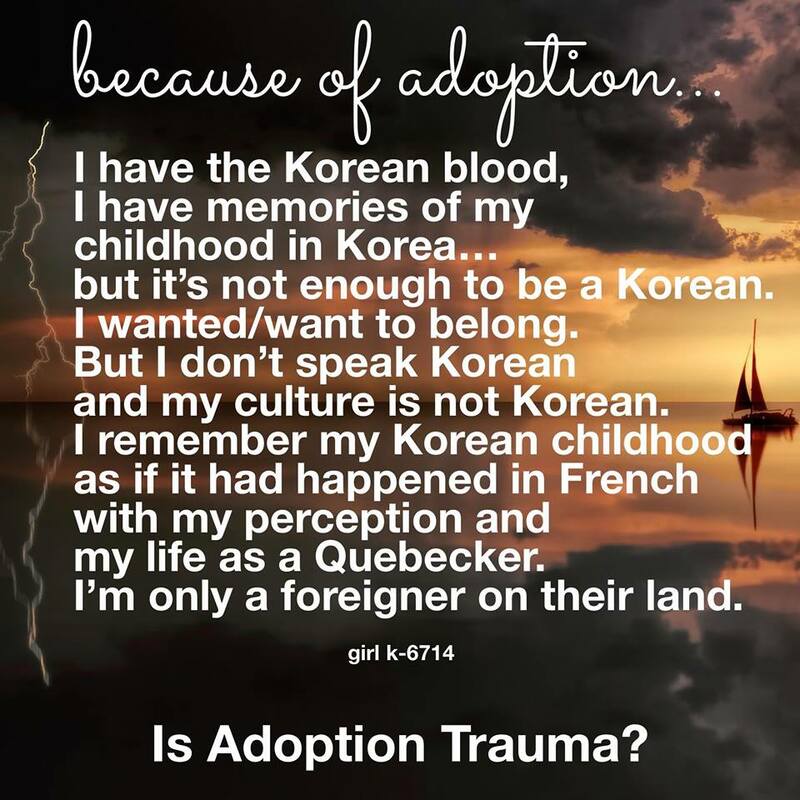 I feel homesick there, I feel homesick here. 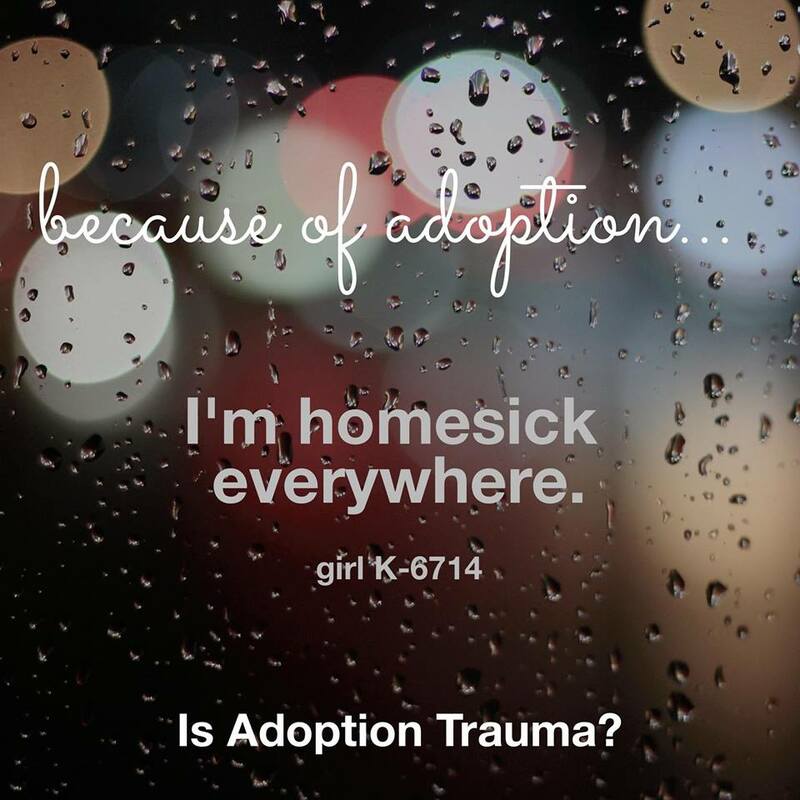 I feel homesick when I’m at home. 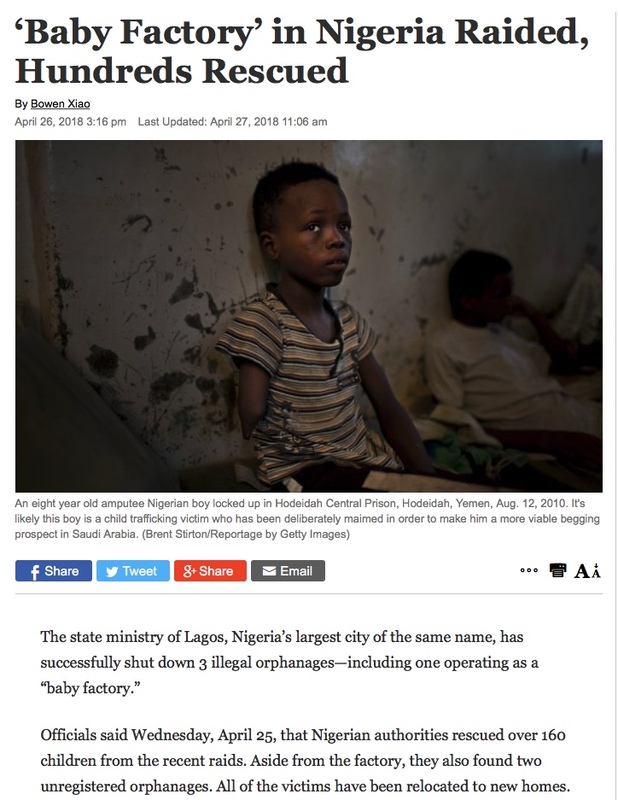 You don’t want to hear my answer. You’re assuming there’s only one answer to the questions, and that I’ll say no. 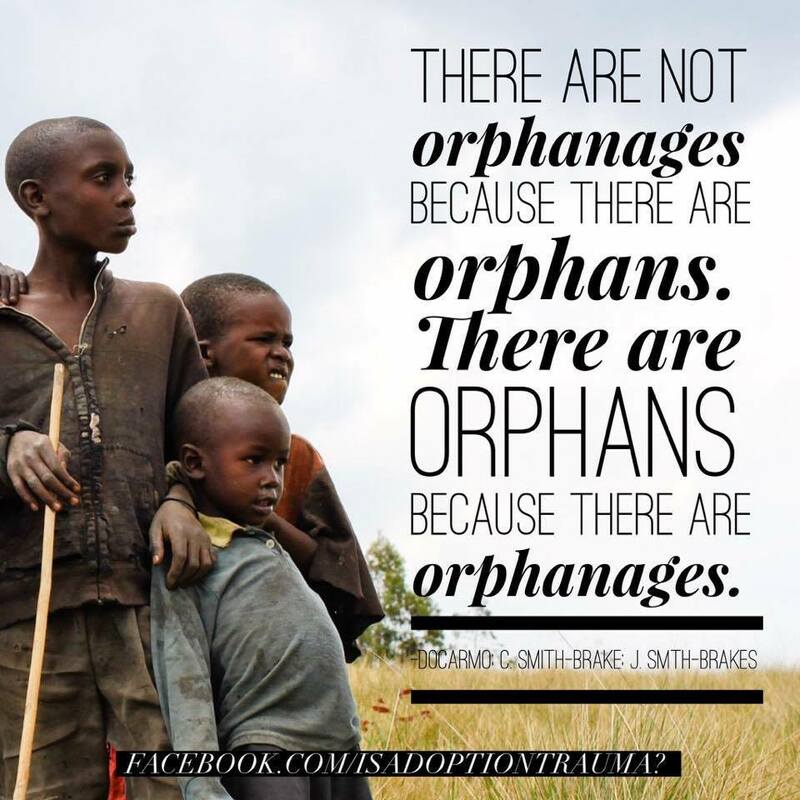 You want everyone to say “It’s better to be adopted to have grown up in an orphanage. 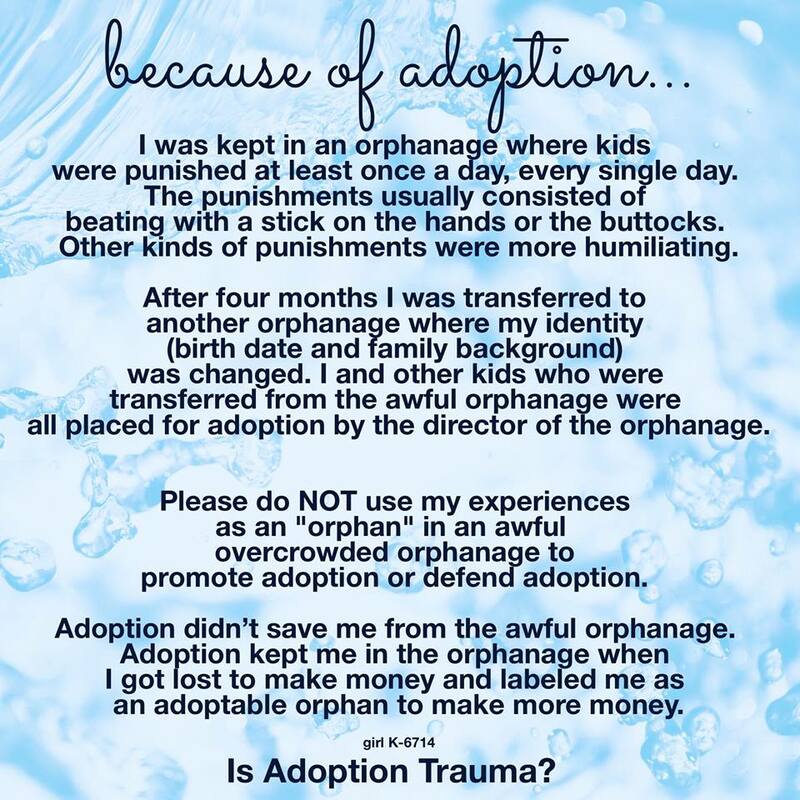 STOP using my experiences as an “orphan” in an awful overcrowded orphanage to try to silence me or to promote or defend adoption. 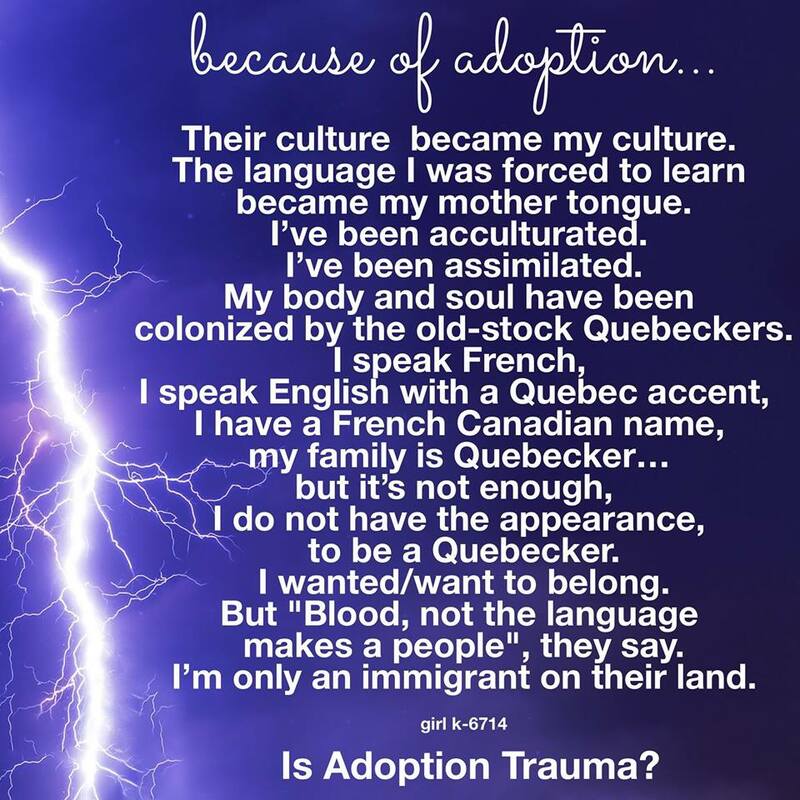 Your question ignores my family, it doesn’t ask me if I would have preferred to be raised by my own family. 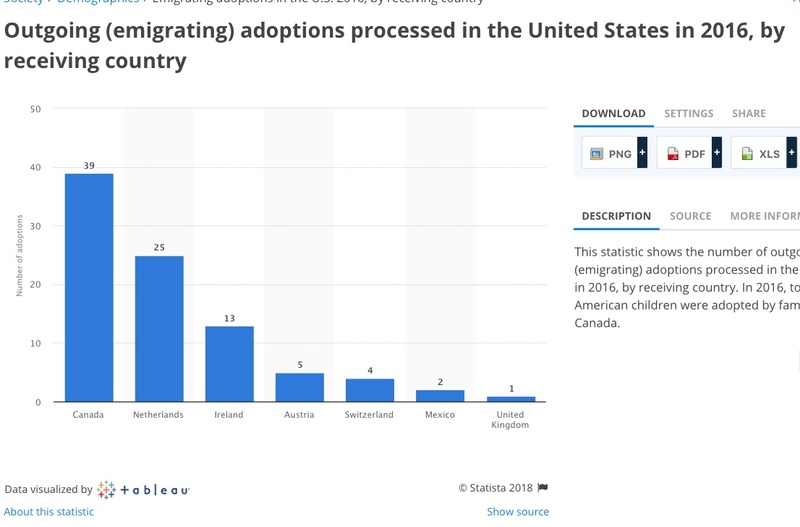 It doesn’t give the families the option to raise their children. 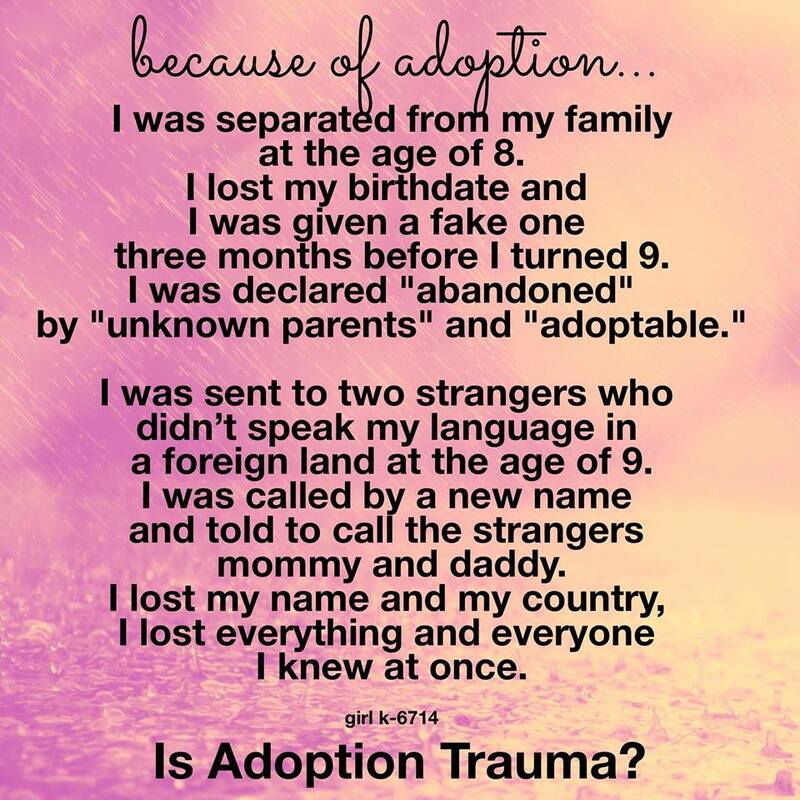 Just like the adoption industry didn’t give me the option of staying with my family. 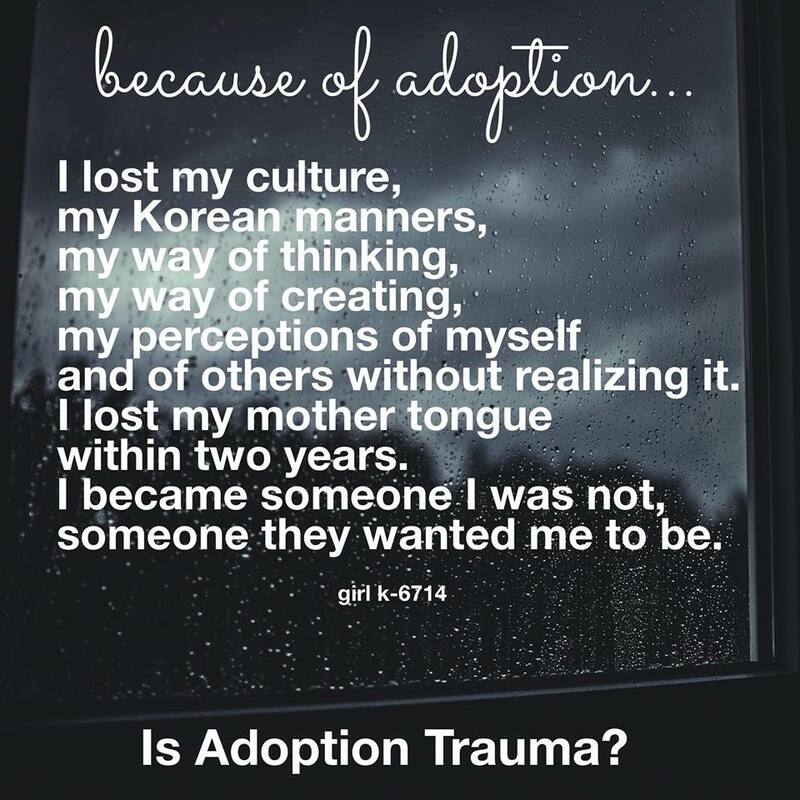 “Kids-languishing-in-an-overcrowded orphanage” + “Better-being adopted-than-living-in -an-institution” are statements used by adoption agencies, adopters while creating more orphans. 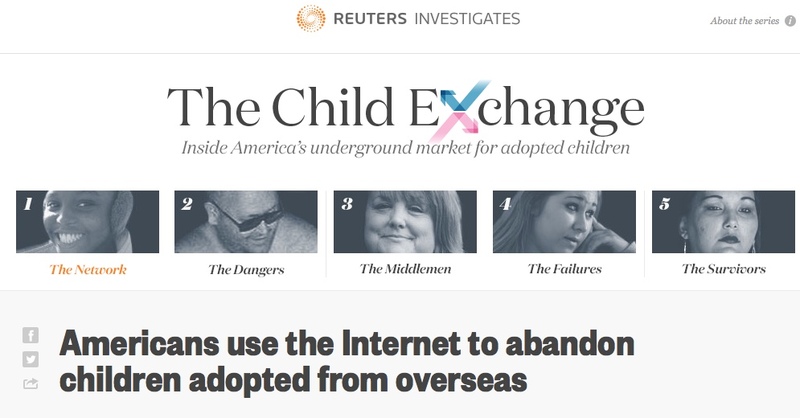 It’s used by adoption lobbyists when a country stops or wants to stop international adoptions due to child traffickings to pressure the country to continue exporting their children. 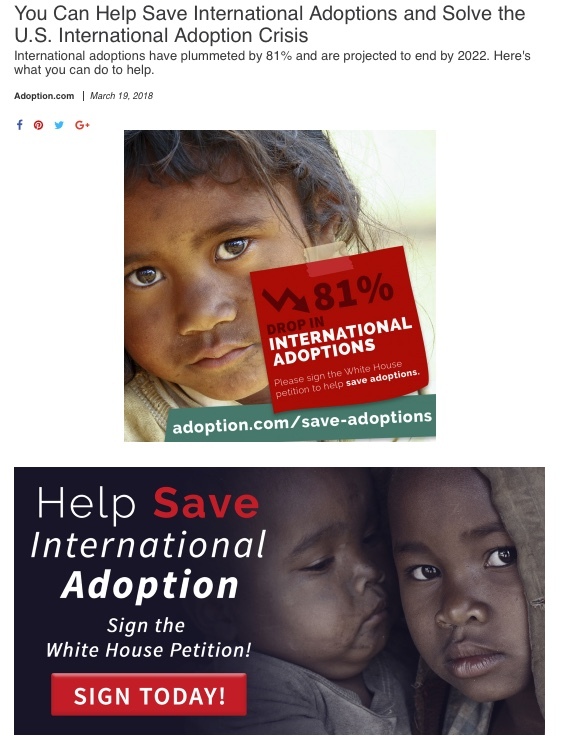 It’s being used now in the petition launched by adoption lobbyists.